Replace your rubbery and vague OE shifter with a billet machined aluminum precise shifter from Function First! Choose between Standard and Extended shaft heights and silver or black options. Both are easy to install in your manual transmission BMW! TAKE ME TO THE FUNCTION FIRST SALE!! 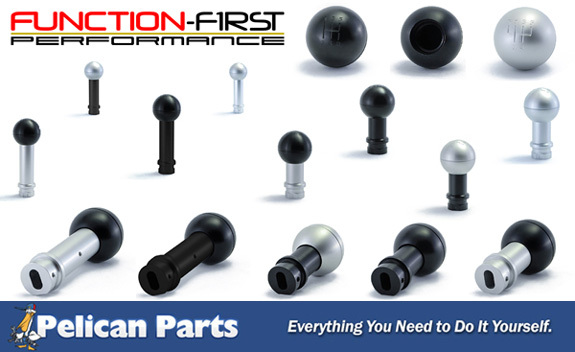 Quick Reply: 10% Off Function First Classic Shift Knob Kits for BMW!